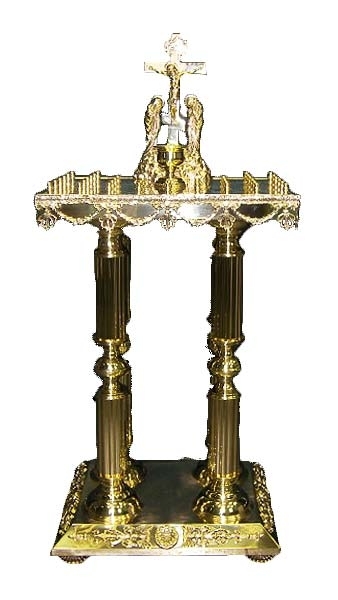 Memorial table - 9 (for 60 candles) - Istok Church Supplies Corp.
Beautiful hand-made floor candle stand. Brass, casting. You can request custom-size candle holders. Size: 20.9''x28.7''x35.4'' (53x73x90 cm).